Mr. Wizard (a.k.a. Don Herbert) presents more than 100 super-simple, simply sensational science experiments and tricks using everyday items available in the supermarket. Kids learn how to turn water into wine, use their finger to boil water, plunge a straw through a raw potato, slice the inside of a banana without slicing the outside, and much, much more! About Don Herbert (Author) : Don Herbert is a published author of children's books and young adult books. 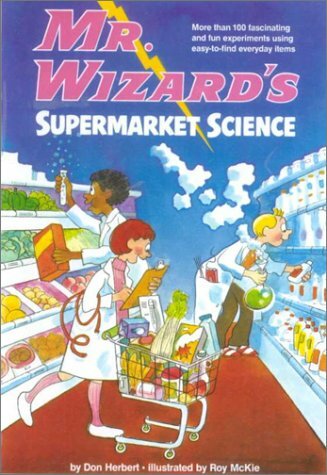 Some of the published credits of Don Herbert include Mr. Wizard's Supermarket Science.